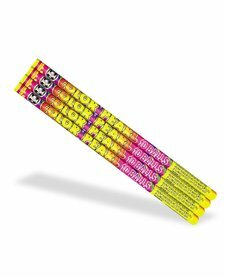 A paper tube filled with composition that shoots flaming balls out one end of the tube. 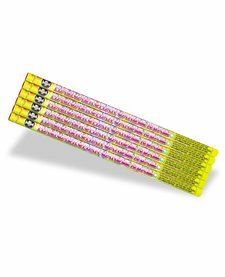 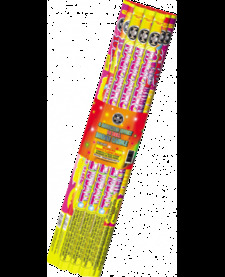 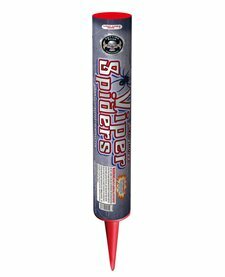 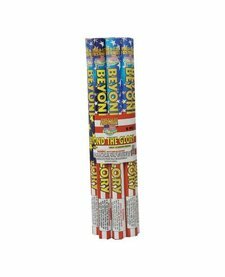 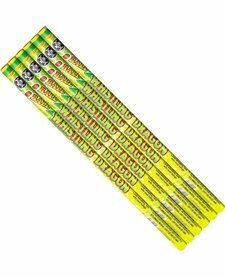 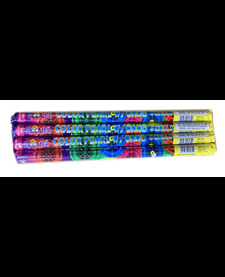 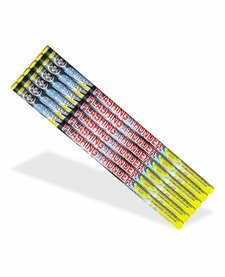 Most roman candles have five or more balls. 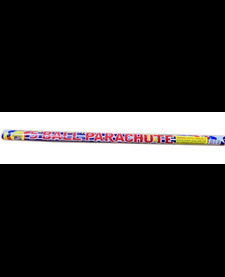 Roman candles should never be held in your hand. 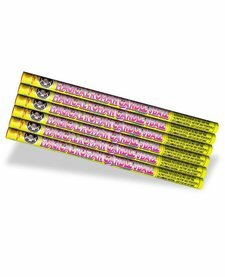 Instead, they should be planted securely in the ground and pointed away from people and flammable objects. 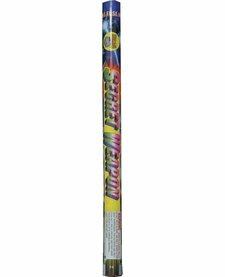 A good way to shoot roman candles is to get a five gallon pail and fill it with sand. 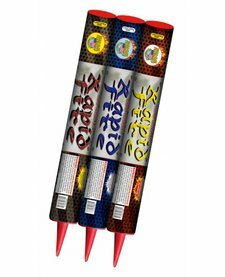 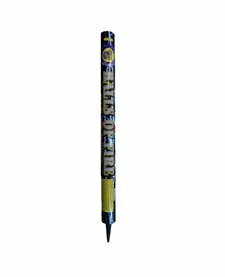 The roman candles can be easily inserted into the bucket of sand and fired safely.